“In 2018 there were 35 people killed and 320 people seriously injured on roads in Warwickshire. I am determined to reduce these numbers and ensure that our county is as safe as it can be for all road users and pedestrians. I know that road safety is a concern for everyone and I want to make sure that it is clear that it is a major priority here in Warwickshire. The police, fire and rescue services, local authorities and community safety partnerships already play a key role in road safety but I want to encourage even more to be done and to find innovative projects that can make a real difference. To help launch the fund and give prospective bidders an understanding of the grants available, network with other road safety organisations and help the Commissioner build more detailed knowledge of the kinds of schemes which could be of benefit in Warwickshire, a special Road Safety Workshop is being organised. It will take place on Friday 12 April at Warwickshire Police’s Leek Wootton headquarters from 9am to 12pm. All interested parties are invited to attend, though pre-registration is vital as space is limited. To register your interest in attending, please email events@warwickshire.pnn.police.uk or for more information contact Chris Lewis on 01926 412322. 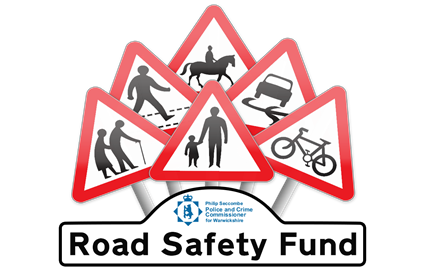 It is anticipated that the Road Safety Fund will open for grant bids in May.